← A bat, a ball, and a dog. 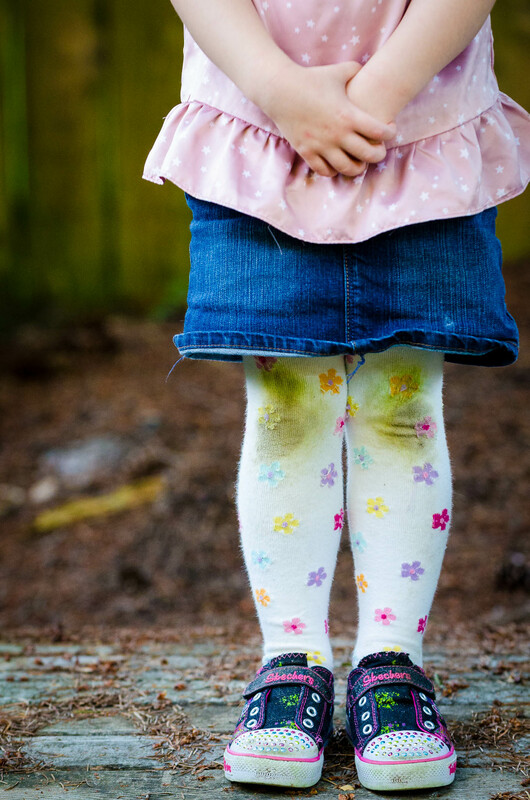 We are happy that Molly frequently comes home from school with green knees. First of all, we know was having fun. Everything I can think of that includes grass stains is fun. Secondly, she is getting some quality outside play time. Lastly, it confirms one of the big attractions to the school for us – the kids have a large, grassy play area. Most of the daycares in the area have rather small areas to play with a synthetic or wood chip surface. Although the kid can have fun on a wood chip playground, they are also commonly cramped and hardly large enough for the kids to get their run on. It is something I value and enjoyed as a kid and want it for them too. Fortunately, the school makes outside time a priority as well and get the kids out on rainy days as well, equipped with rain jackets and boots that are kept at the school 12 months of the year. Keep bringing home the green knees little girl.